To be considered for the fellowship ceremony in conjunction with the 2019 MWIA Centennial Conference, applications must be received by June 10, 2019. The American Medical Women’s Association Fellowship Program serves to recognize and honor distinguished members of AMWA who have accomplished outstanding achievements in science, medicine or academia. This program was founded by AMWA Past President, Dr. Farzanna Haffizulla, as one of AMWA’s Centennial Initiatives. Selective criteria is used to determine which applicants will be honored as an AMWA fellow. Applications will be reviewed quarterly and candidates awarded fellowship will be invited to the fellowship induction ceremony held yearly at AMWA’s Annual national meeting. AMWA’s first class of fellows was inducted at AMWA’s Centennial Meeting in 2015. Maintenance of AMWA’s fellowship status requires continued national membership in AMWA. Leadership: Evidence of at least 2 years in a leadership position locally or nationally. Teaching: Have at least 5 years of teaching or mentoring to students or trainees at any level. Publications: Candidates must have contributed to publications that contribute to professional knowledge or to the medical community. AMWA ambassadorship, service and membership: Candidates must have demonstrated at least 5 years of active leadership involvement in support of AMWA’s mission and vision either at the branch or national level. 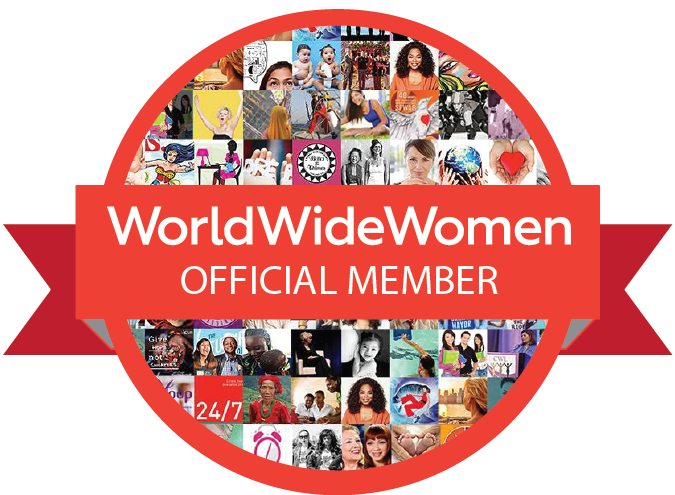 Candidates must be a national member of AMWA in good standing. Extra consideration may be given to candidates who have achieved additional post-graduate training, who have worked in policy or advocacy, public service, or who have achieved significant leadership and recognition in other areas. Integrity: Candidates must have a professional record free of any convictions, felonies, misdemeanors or revoked licensure. Applicants must be board certified in their field or (if currently retired) have been board certified while in practice. Clinical practice: Candidates must have at least 5 years of clinical practice or professional experience post residency/training. Candidates must be endorsed in writing by at least 2 AMWA leaders (national or local leader) through letters of recommendation or using the endorsement form link provided below. If you qualify for our fast track program, you will NOT need to submit letters of recommendation. Please read below for more information on the fast track program. Each of the above criteria will be assessed and weighted accordingly to guidelines determined by the AMWA Board of Directors. A cumulative score will be tabulated to evaluate fellowship candidacy. If you are already a Fellow of a recognized professional medical society (such as the ACP, ACOG, ACS etc), you may qualify for our special “fast track to AMWA fellowship” program. Please email your CV to associatedirector@amwa-doc.org and to fellowship@amwa-doc.org and use the link below to pay the online application fee to be considered. If you qualify for fast track, you will not need endorsement forms or to fill out the online application. ** Qualification for fast track will be determined by the fellowship committee. Applicants for fast track must have served AMWA in a leadership capacity and have worked towards AMWA’s mission to advance women’s health and women in medicine. There is a program application fee of $199. This application fee will be refunded minus a $50 processing fee in the event that your application for fellowship is denied. The program application fee must be paid in full to complete your application before review. National membership status in good standing is required to complete your application. **Please update your CV to reflect any credentials/professional experience from the criteria above to avoid any delay in reviewing and processing your application. AMWA has released a newly-designed Fellowship pin. 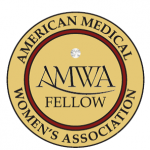 The American Medical Women’s Association Fellowship Program serves to recognize and honor distinguished members of AMWA who have accomplished outstanding achievements in science, medicine or academia. I will provide assistance to those in need to the best of my ability. To uphold the highest standards of this Association and the medical profession.